After some consideration and research, a building has been identified which is felt to be ideal for the needs of the Rainbow Centre. 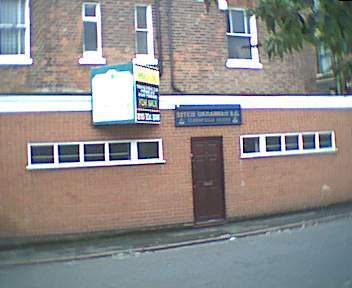 The property is located at 73 Beech Avenue, Forest Fields, Nottingham, NG7 7LR, and was formerly a Ukrainian social club. This map shows the location of the new centre, but remember we are not there yet! (To compare with our current location click the bottom right map arrow - come 'back' afterwards!). The upper floor comprises four residential rooms, one communal kitchen and a communal lounge. This would provide pleasant and high standard living accommodation conducive to long term tenancies, thus providing a sustainable source of income. 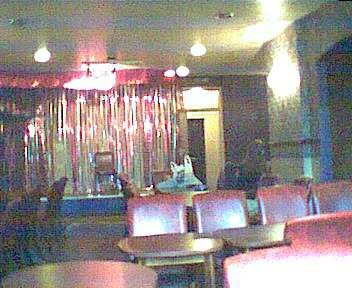 The ground floor comprises a bar and large function room with a stage. There are also two toilets and level ground floor access from the street. This would provide the ideal space for community events, meetings, fund-raising events for ourselves and other environmental/community groups. The open plan layout of the main social space allows for the potential integration of the public facilities such as the library, internet/computer access and cafe. The suitability of the building will allow for the many projects of the Rainbow Centre to flourish and develop further. Basement/cellar comprises four rooms suitable for the needs of Veggies catering co-operative, which is a key member of the Rainbow Centre, contributing substantial financial security to the collective. There is an extensive yard with access from the street. This would provide space for permaculture projects, workshops, secure parking for bikes and user group vans. In addition it could be used for alternative technology and educational displays, outdoor cafe space, a safe space for children's activities and an area where users could relax. Four outbuildings, though in need of substantial refurbishment, offer potential for additional workshop space with employment, educational or community development. Beech Avenue is in the heart of Forest Fields & New Basford - residential areas with a diverse and thriving community, where many of our current users and other like-minded people already live and work. Though situated in a residential area surrounded by traffic calming schemes, it is nevertheless within easy walking distance of several major bus routes. Nottingham is investing heavily in a new tram system (NET - Nottingham Express Transit) due for completion in approximately two years; this route will stop at the end of the street on which the premises are located. Street parking and the extensive yard will ease parking and access for those who depend on private transport (for example disabled users). Several recommended cycle routes in the Pedal Pusher's Guide to Nottingham run past the proposed centre, and it will be within a mile of the Sustrans National Cycle Network. In keeping with our co-operative aims, becoming owners of our own working and residential space will ensure the future sustainability of the project. Pursuing this proposal has increased enthusiasm and commitment from current volunteers/members, and has drawn support from the wider Nottingham community. With a permanent base in common ownership, funding from supporters and outside bodies will become more feasible. This has already enabled us to attract a significant proportion of the necessary financial support to raise the deposit required for the purchase of the building. In summary, all of the above factors will lead to greater physical and financial security. The membership of the co-operative have dedicated themselves to the continuation of the project, made more viable by relocation to more suitable and permanent premises. This will provide a unique environment for users with community spirit and an interest in ecological, ethical and social concerns. The needs of these groups are specific, and their long-term involvement with the Rainbow Centre shows that their needs will be satisfied by their continuing participation. Future Users are expected to include other groups involved in environment and social campaigns. Members of the local community of Forest Fields have expressed an interest in direct involvement in such a community centre. The 'Market' in this sense means the ecological and environmental movement, taken to include those concerned for human and animal rights, co-operation and social justice. There is evidence that this is growing both rapidly and consistently. The Rainbow Centre is the only resource centre in Nottingham and the East Midlands which can offer all the facilities required by this client group under one roof, and which can cater for their specialised needs. The proposed new premises is intended to integrate the demand from the ecological and environmental movement with the needs of the wider local community. Greenpeace, Friends of the Earth, Women's Environmental Network, EcoWorks, Pedals (Cycling campaign), Kids Ceilidh Collective, Dynamica (Nottm. School of Samba), Sweet Potato (independent music promotor), Dub Seekers Alliance (musical group), Nottingham Folk Musicians Collective, Little Bean (organic vegetable distribution), Loscoe State Opera (musical group), Amnesty International, Cuba Solidarity Network, Campaign Against the Arms Trade, and CND. Information and invitations to participate will be circulated through the many local networks that the Rainbow Centre is part of, including Nottingham Green Network News, Council for Voluntary Services, the Animal Contacts Directory, Notts Free Information Network, Nottingham Community Resource Centre (formerly 118 Workshop), Nottingham Trades Council, Forest Fields Independent Residents Association, Little Bean Organic Veg Network, Lembas (wholefood wholesaler), and the LETS Scheme. Advertising posters and information leaflets will be distributed & and displayed in suitable venues, including Roots Natural Food Shop, Screaming Carrot (vegan bakery), Natural Food Company (shop), local library, Alley Cafe, Squeek (vegetarian cafe). The Vegan Magazine, The Vegetarian, SchNews, Allsorts email network, ArcNews, Festival Eye, Animal Aid, Compassion in World Farming, Counter Information Network, Ethical Consumer Magazine, Green Guide (Midlands edition), Green World (Green Party), Vegan Village, Housmans Peace Diary, Peace News, Radical Routes Newsletter, Centres for Change network. We intend to hold community meetings to invite members of the immediate neighbourhood to contribute their ideas and to invite their involvement in any plans for the development of the centre. The educational use of the centre will draw upon the expertise of all the members and user groups, through the running of courses and workshops, and by day-to-day contact with the community. Once established a monthly calendar of events will be compiled and circulated widely as above, together with a series of press releases about events of particular interest. Details will also be posted on our web-site, and circulated though our extensive email network. The Rainbow Centre understands the financial limitations of voluntary projects, which are often funded out of limited personal income. Therefore, the Rainbow specialises in giving practical support at the grass roots level by providing vital resources at these affordable rates. Office space in the short-term will consist of access to the necessary resources listed below, together with provision for safe storage of files and other materials. The four current groups requiring this service are Nottingham LETS, Vegetarian and Vegan Society, Wild Things Ecological Education Collective, and Neds Housing Co-operative. These can be accommodated in the space available at a rent of �10 per week each. This price is particularly competitive due to the fact that these groups are closely involved in the Rainbow Centre, and because for two of these groups their need is for a registered office for their separate companies. This space will also be suitable for the short-term needs of new user groups and individuals. In the longer term, to develop our market share as a provider of ecological, ethical and co-operative office / workshop space and training facilities, we aim to renovate the four outbuildings. An interest has already been expressed by groups including a woodland craft collective, a welding co-operative, and a bike maintenance & education collective. Renovated workshop space will also allow for expansion of the Rainbow Library and archive. Rent for these four dedicated office / workshop spaces would be in the region of �35-�40 per week. This project is contingent on securing further grants, donations or loans in the future, and is not included in this proposal. The conversion and renovation of the workshops, to the appropriate environmental standards, is estimated to cost between �5,000 and �10,000. If the demand for office space proves to be greater than the demand for social space, the social / community room lends itself to flexible partitioning to create additional separate rooms either for offices or workshops. The external workshop space, with suitable redesign, could be transformed into residential accommodation. Conversely, the residential rooms are easily convertible into office space, of an equivalent value, should the need arise. D.2. Provision of resources in the new centre. The central provision of these resources is intended to provide small groups with access to the facilities that they need in order to develop, at an affordable cost. At the same time their provision will reduce the overheads of the individual groups, which will in turn assist their growth. Photocopier. The existing local photocopying facilities, at the local post-office, do not have comprehensive functions included on the Rainbow Centre's copier, are not as flexible in term of access, do not offer training, guidance and assistance to the same level, and are not integrated with word-processing, desktop publishing and internet facilities. The reprographic facilities at the Rainbow Centre will be competitive at a base price of 4p per copy, including reducing and enlarging, duplex, collating and stapling. The use of entirely recycled, or reclaimed, paper stock will be used for marketing advantage. The Rainbow Centre also benefits by having amongst its supporters an employee of a major reprographics company, who offers advice on the latest advances in technology. Information Technology Facilities. There are no facilities for word-processing, desktop publishing and internet access in the area backed-up by the same specialist knowledge, networking experience and training expertise of the Rainbow Centre collective. The Rainbow Centre has an existing background in the provision of email services and Web Site hosting, with a 'vast and extensive internet capability'. Whilst libraries offer free internet access to unwaged users, they charge 10p per page for any printed copy. Our charging policy of 50p per hour for general computer use, basic phone rate for internet access and 4p per print has proven to be competitive for our current users. There is in any case no public library in the immediate vicinity. Postal address and mailing facility. There will be a continuing need for emerging groups to have access to mail box facilities. Our charge of �25 per year is very competitive in comparison with �70 charged by the Post Office. Fax facilities. Commercial agencies typically charge as much as �1 per page for sending or receiving faxes. Our rates are based upon the applicable telephone rate for sending, and 10p per page for receiving faxes. We will also be offering paper-less fax facilities for user groups directly to and from their networked computers. Message taking service. The free provision of this service, based on the goodwill of volunteers and users, is a bonus when marketing the overall package of resources to user groups. Information exchange and networking. The Rainbow Centre receives newsletters and regular information from over 150 groups campaigning for social and environmental change, which will be brought to a wider audience through a thriving social centre. This is a free service, thanks to generous sponsorship by Veggies, which will have a valuable knock-on effect in use of the cafe/bar in which the information is displayed. Library. Some 2,000 books covering a wide range of issues will generate income from loan charges, with potential for future development of a specialised book selling service (see trading, below). We charge a �1.50 returnable deposit and have found that many clients leave the deposit as a donation on return of the book. Audio-Visual Resources. Our television, video recording, filming and playback equipment will make use of the Rainbow Centre's existing extensive video library, with potential for video evenings. The specialist library of videos will be marketed to schools, colleges and other educational centres in the city. As for books, we find a �5 deposit is often regarded by users as an acceptable donation. The playback (and recording) equipment will also be available for hire for events held at the centre, or elsewhere, at a charge of �10 each for video camera or playback equipment. Marketing and promotion of services and resources will be included in that described for the social and community space. Our market share will be built upon the stable income afforded by all current user groups, allowing for fluctuation in use by other members of the local community. The Rainbow Centre is unique in that it provides the only all-vegan cafe in Nottingham, with a commitment to supporting fair trade and increasing organic content. Our baked goods suppliers, Screaming Carrot, are already situated in Forest Fields, which illustrates a local demand for ecologically and ethically sound catering. As they are not based in a cafe environment, our cafe will provide a substantial new outlet for their products. Other cafes in the area do not cater to the demands of our specialist customers, but may be interested in the products available from Veggies, the catering co-operative based at the Rainbow Centre. It is predicted that the majority of our existing user groups and customers will continue to use the cafe. The improvement in facilities, in particular the large social and community space will increase use of the centre for meetings, functions, workshops, entertainment and conferences, all of which will generate increased trade for the cafe. The cafe will be promoted to the wider community as part of the marketing strategy described earlier. Further research will be conducted during the program of public consultation, to identify the optimum opportunities for further use of the cafe. The cafe will have a pricing policy aimed at making nutritional, ecologically-sound, vegan foods available to all, regardless of their means. Whilst the cafe is currently frequented mainly by user groups, in the long term it is intended that the cafe will be promoted as a centre of catering excellence, drawing custom from beyond the immediate neighbourhood, justified by the lack of any similar establishment elsewhere in the City. Plans will include speciality themed restaurant evenings, 'food & dance' functions, children's parties, tea-dances, seasonal festival meals (Christmas, Diwali, Solstices), etc. Our intention is also to make contact with New College Nottingham to discuss the suitability of the new premises for accommodating training for catering students in Vegan, Vegetarian and organic cookery. The collective experience of the cafe staff, along with current funding opportunities for healthy eating training in Nottingham, make this an exciting possibility. Our unique proposal is to run the bar on ethical principles under its workers control, with the funds generated remaining within the local community. It is proposed to emphasise the availability of locally produced beverages and organic vegan wines, beers, ciders and soft drinks, with an attempt to avoid products about which ethical concerns have been raised. We intend to continue to base all our purchasing on the guidance produced by the Ethical Consumer Research Association, the Vegan Society and other similar bodies. There is a growing demand for Vegan alcoholic beverages that are clearly labelled, as such information is unavailable in the vast majority of pubs and it is an issue that an increasing amount of Vegetarians are becoming aware of. Many of our current and target user groups tend to gather socially after meetings and workshops. The new centre will offer the opportunity to socialise within convivial surroundings, whilst generating funds for a community enterprise. Our market share is predicted to increase as more groups relocate their own meetings to the centre, and the social space is used by increasing numbers of members of the local community. The revenue generated from sales will support the more affordable pricing of locally-produced, organics and vegan products. With the closure of local independent radical literature retailers Mushroom Bookshop (due to the expense of their City Centre location), there is a niche within the ecological and socially-minded community of Nottingham for this service, which could be expanded through use of the internet. Veggies Catering Campaign attends some 50 events each year. Many of these events have invited Rainbow Centre to exhibit, which will become feasible with the new focus and energy to be generated by the new premises. The location and accessibility of the centre will ease the practical aspects of trading at outside events, such as storage and access for loading and unloading. At present the Rainbow Centre only attends a limited number of outside events, due to the practical difficulties afforded by the present location & facilities. Outside events give opportunities to raise public awareness of the issues covered by the Rainbow Centre, with the distribution of educational materials, the display of exhibitions designed by user groups and the sales of appropriate products, including books and journals, energy efficiency products and recycled goods, fair trade and cruelty-free products, badges, T-shirts and greetings cards. If demand for sales goods or the availability of trading opportunities fluctuates, the stock will be available for sale to regular users of the centre. This will consist of four residential units, to be occupied by members of the Rainbow Centre. Veggies Catering Campaign and Veggies Ltd. Veggies Catering Campaign (outside catering co-operative) and Veggies Ltd. (Vegetarian Food manufacturing co-operative), both with a long association with the Rainbow Centre, will be accommodated in a self contained work-unit with the centre. Four of our current tenant groups will not be moving with us for various reasons. The Vaccination Awareness Network is run by home-based volunteers, who have decided to entirely work from home; the Nottingham Windpower project has lost its main lynch-pin worker; Alternative Holidays have made use of the Rainbow Centre's resources to obtain funding to purchase their own building; the Sustrans Regional Office was a short term placement, for which funding has expired.